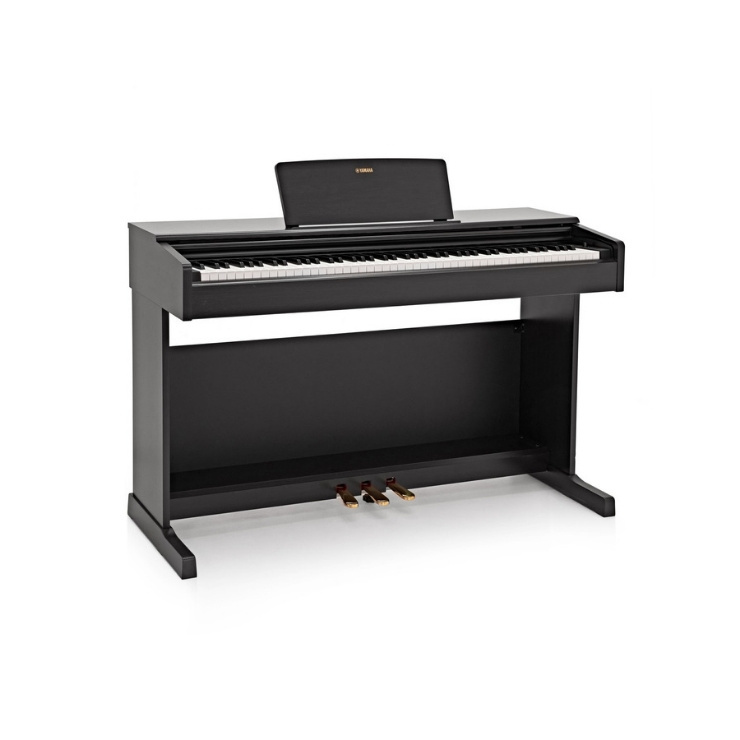 Level up with the Yamaha YDP 144 Digital Piano. Carefully made with greater sound power! With faithfully sampled sounds using Yamaha's very own CFX technology. Never once seen in the YDP series. 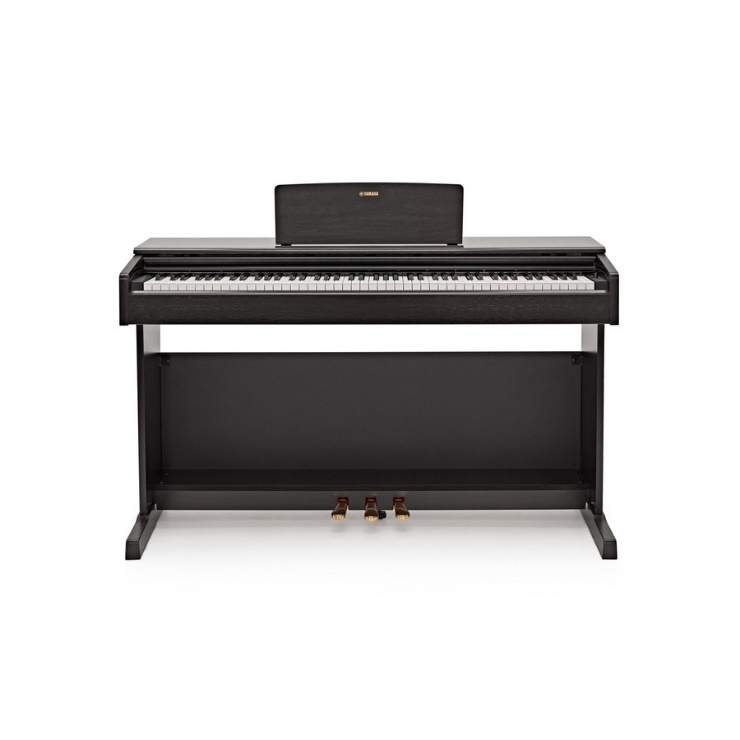 The Yamaha's flagship 9' CFX concert grand piano, has been faithfully sampled for the YDP 144. The world-renowned CFX, played at the prestigious International Chopin Competition in 2010, has since been recognised one of the greatest concert grands of all time. And all thanks to the YDP 144, you can reproduce this incredible sound in the comfort of your own home, or studio. The sparkling highs and the most powerful resonant bass notes. Combine the two and you can produce a sound that projects to the furthest reaches of any concert hall. Yamaha understands that you cannot always play the piano at a high volume. And so. The Intelligent Acoustic Control (IAC) technology has been introduced so you can adjust your sound automatically and enjoy a balanced sound at any volume level. So you can practise and play any time of the day. Even better! Yamaha’s stereo optimizer allows you to play for hours without being disturbed using headphones! Using carefully recorded samples, the YDP 144 allows you to take advantage of the library full of acoustic sounds. With your headphones on, you would think the sound was coming from the body of the instrument itself. An easy mistake to make, thanks to Yamaha’s quality sampling technology. It’s incredible! 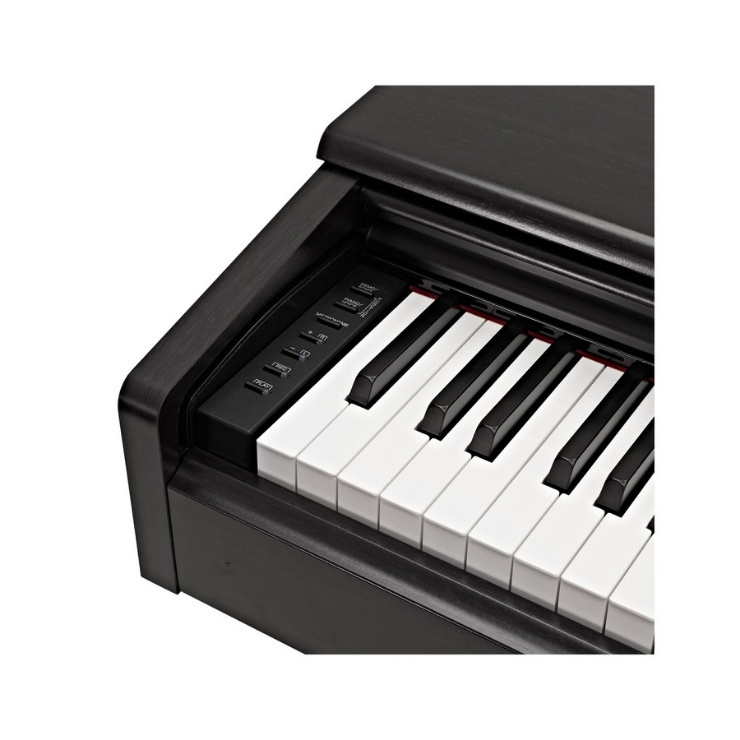 With Yamaha’s Graded Hammer Standard (GHS) keyboard action, you can enjoy a heavier touch in the lower end of your keyboard. And a lighter touch at the higher end. Inevitably replicating the touch and feel of the hammers inside an acoustic piano. 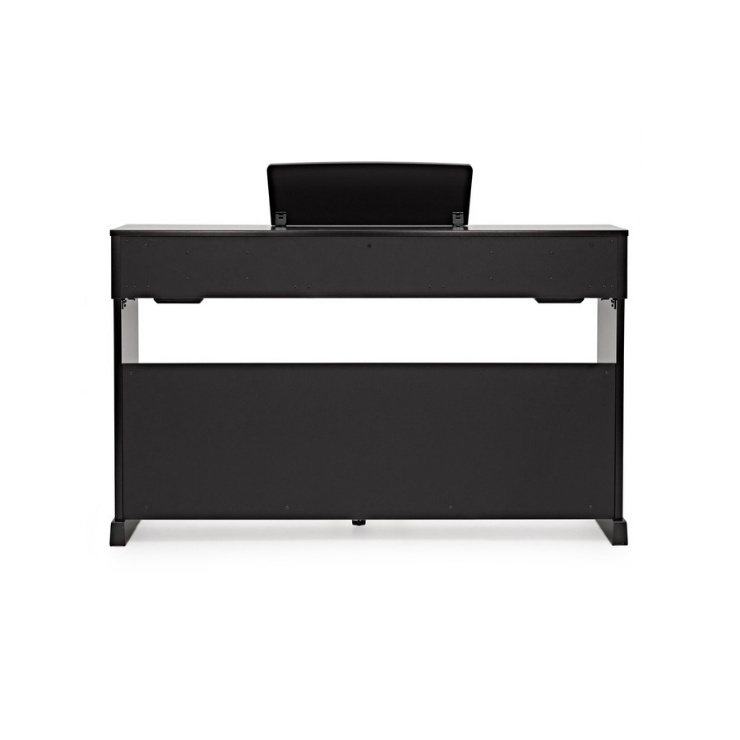 Great for the aspiring pianist. You can develop your playing technique with the YDP 144. So when it comes to playing an acoustic piano, your hands will be ready! Take control over your playing experience with the matte finish of the black keys can absorb moisture from your hands, making them less slippery even after hours of practice. The YDP 144 opens up a new world of apps to enhance your experience. The user-friendly set-up allows you to connect your smartphone or tablet to a series of bespoke apps. So you can explore endless playing possibilities. With the range of compatible apps, you can analyse your favourite songs, calculate the chords, display and play. The Smart Pianist app offers a variety of features that allow you to personalise your sound and performance. The world famous CFX can be played alongside other acoustic instruments of your choice. Swipe left or right to change the instrument voices. Explore an array of in-depth piano settings to suit yourself. 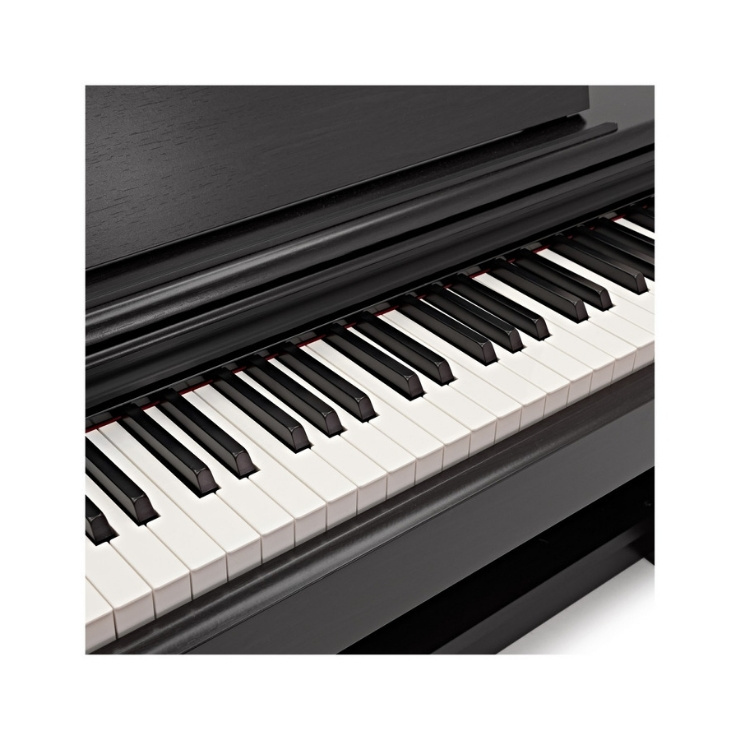 With the LCD display, the YDP 144 offers a graphical way for customers to easily control the piano’s sound. And manipulate its hammer strength, brightness, pedal point, resonance, and reverb. Explore endless possibilities with the YDP 144. Yamaha and the piano tutorial app Flowkey have collaborated for a limited time offer to give you 3 months of premium learning. Simply download the Flowkey app on to your smartphone or tablet, register your instrument, and begin your subscription. The user friendly interface allows you to learn each song in both a sheet music format as well as a play-along video. Thanks to the adjustable difficulty settings, Flowkey can be used by complete novices and developed musicians alike. Premium Flowkey members have access to over 500 songs covering major hits from pop, classical, rock and more. This intuitive app can even track your playing and offer instant feedback to help improve your skills. Any Yamaha digital piano purchased between 15th July 2016 and 31st March 2021 is now eligible for three months of premium Flowkey access.